Las Vegas is full of near life experiences. Reproductions of world famous landmarks and iconic art are all over the place. Caesar's Palace has a David identical to the original and carved in marble from the same quarry as the original. This post is about the Eiffel Tower of Las Vegas. While I have always wanted to visit the city of lights, time and money have not been on my side. So I turn my attention to the Eiffel Tower of Las Vegas. 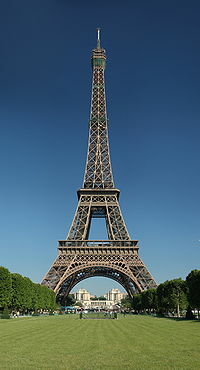 The Las Vegas Eiffel Tower is an copy of the one in Paris. I can't tell if it is an exact copy in every thing except height. 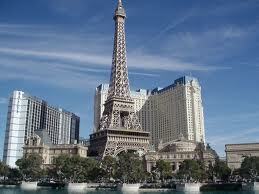 The one in France is 1063 feet tall while the one in Vegas is only 541.